5 celli. Gesualdo is famed for his unusual harmonies. They are present in these 5 voice madrigals, but so is a wonderful sense of melody. Each madrigal appears twice, once in its original range, with the top 2 or 3 parts in treble or tenor clef, and once with all parts in bass clef only. The former are intermediate to difficult, while the bass clef versions are easy to intermediate. Good for sightreading. 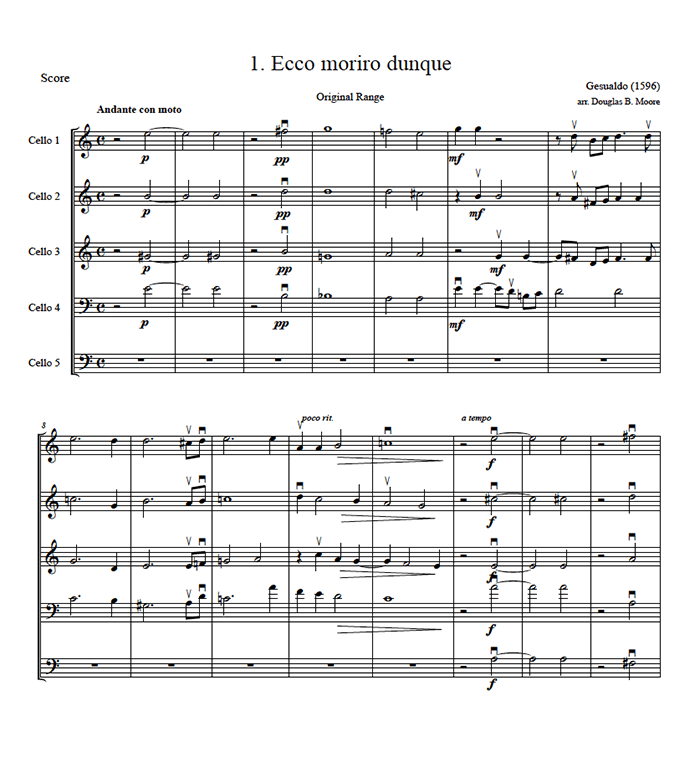 Parts and scores for both versions.